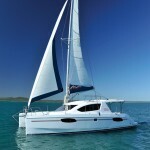 Rent, hire or charter a bare boat catamaran, or mono-hull anywhere in the world. Our exclusive bare boat search engines allow you to search for the best boat rental destinations and book the perfect yacht on-line. Whether you’d like to explore the tried and true Caribbean destinations of the BVI, St. Thomas, St. Maarten or St. Vincent and the Grenadines; or if you’d like to venture further afield to the Mediterranean destinations of Croatia, Sicily, or the Greek Islands and Turkey, we’re here to help you make the right choice with a bareboat yacht charter. Whether your destination is the Caribbean, Mediterranean, Indian Ocean or the Far East (or anywhere in between) you will create an adventure just your own with a Bareboat Yacht Charter. Browse our global destinations section for the latest information on the Caribbean, the Mediterranean, the South Pacific, the Far East, Mexico, Bahamas and other locations. Don’t get stuck in a rut, expand your horizons and try different cruising grounds every year. Why limit yourself to that comfortable old bareboating destination that you cruise every year, those regular BVI bare-boaters know exactly what I’m talking about. There’s a whole world of new places to explore on this lovely planet of ours and I’d love to introduce you to a more global concept of chartering in a different place every year, well maybe not EVERY year, but certainly to think outside the box when it comes to great sailing destinations. We can help you select the right boat in the right place at the right time. First, let’s think about what is it that makes a great bareboat or crewed yacht destination great? How about this definition: Lot’s of little islands to visit, a steady wind, clear water with good anchorages, great food, and neat little restaurants and bars, good snorkeling and SCUBA diving, friendly natives and no pirates. How’s that for a definition? Think of the Baltic Sea, as an extreme example, did you know that there is a marvelous archipelago of little islands just outside Stockholm, Sweden? Very seasonal of course, you have to pick and choose the date carefully, definitely a new and exciting experience. Let’s not forget the classic Mediterranean destinations in the Greek Islands, Turkey, Croatia, Sicily and the West coast of Italy, Corsica and Sardinia, even Spain’s Balearic Islands of Mallorca and Menorca. Moving away from the European destinations, we can think about the Seychelles islands in the Indian Ocean that offer the perfect conditions we defined earlier. Let’s also talk about the South Pacific with it’s incredible islands and waters around Tahiti, Bora Bora, the Kingdom of Tonga, Australia and New Zealand. Why not Thailand’s Phuket and Malaysia’s Langkawi? These are some of the most inviting places in the world that clearly meet the criteria we established earlier. Moving closer to home, did you ever think of the Sea of Cortes in Mexico’s Baja California, spectacular views and amazing wildlife..! How about the Bahamas, Sea of Abaco with it’s lovely little brightly colored villages and clear waters? Brazil’s Angra dos Reis? 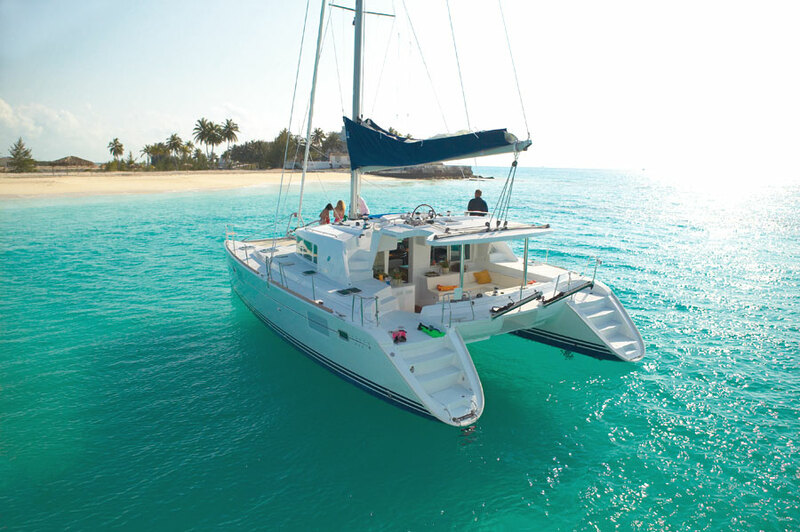 American Yacht offers bareboat monohulls and catamarans from the best charter companies that we have personally selected for their reliability and service. Destinations include The Med, the Caribbean, Baja California, the Pacific Northwest, the South Pacific, including Tahiti, Tonga, Bora-Bora; Latin America – Brazil, The Seychelles Islands and the Maldives in the Indian Ocean, the Far East – Thailand, and Malaysia, Phuket and Langkawi. Yes, we can do it all. Please use our state-of-the-art search engines to find and book that perfect bareboat and open the doors to a smooth, user-friendly research and booking machine. We have included a whole section dedicated to the most popular models of bareboat yachts generally use worldwide with an expert knowledge base to help you find the right model for your special requirements. Powerboats with skipper and power bareboats are available in selected locations in the BVI, the Mediterranean, Baja California, the Bahamas, Tonga, the Seychelles, New Zealand and Thailand. 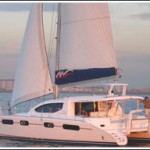 Most of the newer models are available only as bareboat power catamarans or “power-cats” as they are known. There some older power mono-hulls still around in the BVI and newer ones in Croatia and the Greek Islands. There are no longer many trawlers for charter in the Islands or anywhere for that matter. 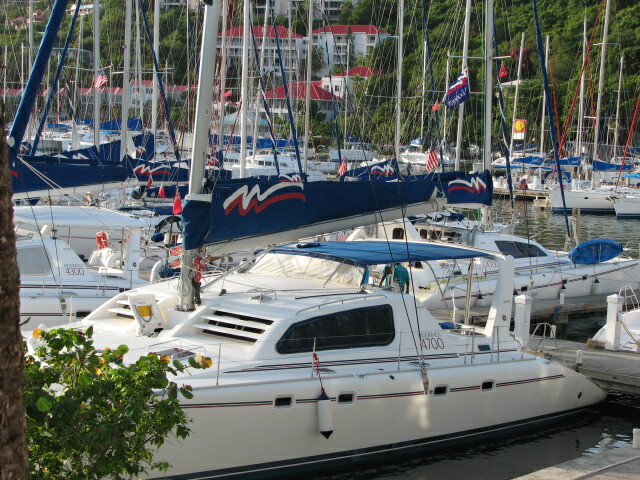 Monohull powerboats have been largely replaced by power catamarans or powercats as they are now called. Most of the power bareboats have a generator and full air conditioning. Their shallow draft means that they can navigate in shallow waters with fewer problems than traditional mono-hull configurations. If you are bareboating, powercats are much easier to maneuver in tight situations, like docking or picking up a mooring in choppy water. 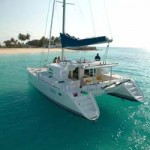 Last but not least, power catamarans are more economical to run, especially if you are talking the outrageous prices of marine diesel fuel in the Caribbean islands. Check the bareboat search engine on this site or contact us for the latest pricing and availability. Bareboat sailing charters are an adventurous way to enjoy your holiday. Bare-boating is, of course, primarily about sailing. More recently, however, the ranks of sailors, as opposed to power-boaters has increased proportionately to the price of fuel. It takes a few more bucks to operate a motor yacht than it does to fill up a sail-boat. Learning to sail at an accredited institution is probably cheaper than it is to fill up the tank of a motor yacht. For most sailors, however, it’s not just “all about the dollars”, it’s the ride. It’s the communion and the interaction between human beings and the elements of ocean and weather that surround us. It’s making use of the wind and the currents to take us where we want to go. It’s the journey and not the destination. I mean, let’s face it, it helps to have a nice white sandy beach and a few palm trees when you get off the boat, but it’s really the primal thrill of sailing that motivates us. This has really been the motivation of this website – to impart knowledge of bareboating – to provide as much information as possible about bareboat models, destinations, pricing and availability world-wide. We want to be the total resource for your favorite activity, bareboat sailing. If you have any questions about Bareboat Sailing Charters please call us at (877) 759-8263 or fill out our online form today. 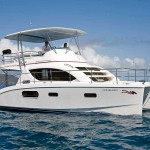 Captain only yacht charters are the best way to enjoy your vacation if you are inexperienced or new to bareboating. If you will be bareboating in unfamiliar waters or if you will be chartering a boat that is larger or different from vessels that you may have captained before, (or both of the above), you should think about having a yacht captain on board for a few hours, a day or two, or for the whole itinerary. This very wise because after all, your safety and the safety of your friends and family has to come first. Let’s leave our egos at home, please. 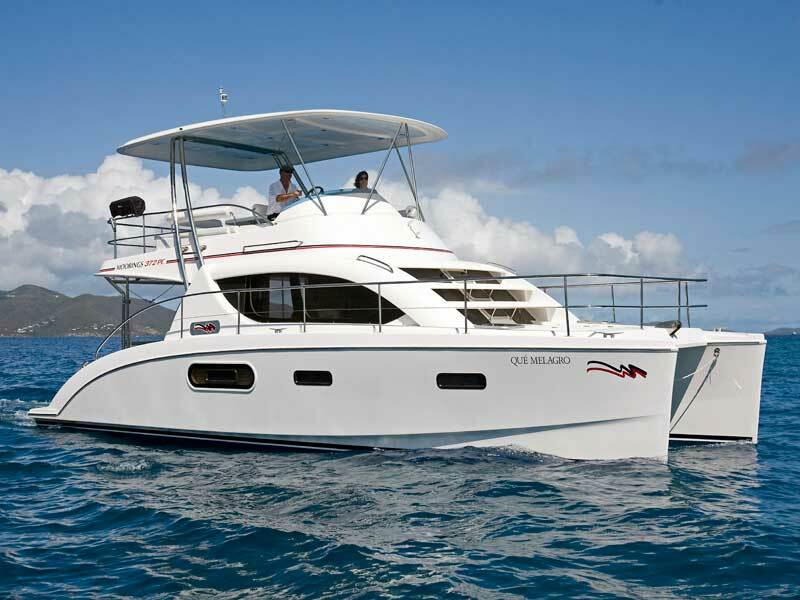 Using captain only yacht charters can be especially true if you are transitioning from a mono-hull to a catamaran, for example, which is very common these days. GET CHECKED OUT FOR AN HOUR OR TWO by an experienced yacht captain – especially for mooring ball pick-up and docking maneuvers and don’t forget the tricky Mediterranean stern-to docking procedures. If you are definitely not a sailor and would like to lower your overall budget or you simply like to cook, there is another option as well: charter a crewed yacht – but charter it on a “captain-only” basis. I’m not saying that this is going to save you a lot of money, because remember, you still have to purchase the provisions locally and if you eat ashore a lot, the local watering and eating holes are not always as cheap or as good as they seem. In the Mediterranean it is a safer bet to eat ashore as they have fresher food. The Caribbean Islands can be quite disappointing since all ingredients have to be shipped in from the US so stuff tends to get wilted. Remember also that the yacht captain has to have his own cabin and head, those are the captain-only rules. You are also responsible for feeding the captain, not necessarily inviting him or her to dinner every night but provisioning for an extra person. If you have any questions about Captain Only Yacht Charters please call us at (877) 759-8263 or fill out our online form today. Following the same line of questions that we frequently get here at America Yacht, Yacht Provisioning has to be in the top ten. Let me start by saying that most of the bareboat inquiries that we get and the quotes that we send out, do not include the cost of the yacht provisioning. At some point however, the issue arises, many times after the boat has actually been booked and the number of guests finally nailed down: what, where and how are we going to eat while on our yacht charter? If you are bareboating in the Mediterranean, for example, most experienced bare-boaters will arrange their provisioning so that they can eat breakfast and lunch on board and eat ashore every evening. This is true for crewed charters as well. Of course in the Mediterranean, every little island you visit has really neat and for the most part, inexpensive little tavernas or trattorias that serve local fare, so this is definitely an excellent option. Regardless of which method you use, The KISS method is the best – keep it simple. If you’re a accomplished and experienced bareboater, you’ll probably know all of this anyway. If you’re not, I hope the above information about yacht provisioning helps. Don’t forget to use this page as a resource for bareboating worldwide. Use our updated yacht search-engine to find the perfect bareboat in the perfect place at the perfect time. Looking for a Bareboat Yacht Charter from The Moorings? We have been Moorings booking agents since 2002 and can provide you with Moorings, Sunsail, Moorings Power and Footloose boats anywhere in the world. Use our advanced search engine to find the perfect crewed yacht or bareboat in the perfect location at the best price. f you have any questions about our Yachts, Charters and other Services, call us at (877) 759-8263 or contact us by email today.